One of the most keenly awaited movies of the year is Shankar's I. 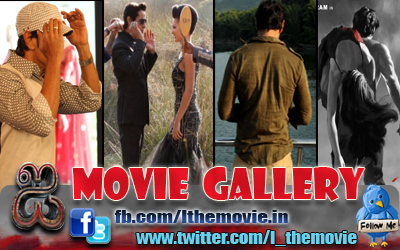 The movie stars actors Vikram, Amy Jackson, Suresh Gopi and Santhanam in lead roles. 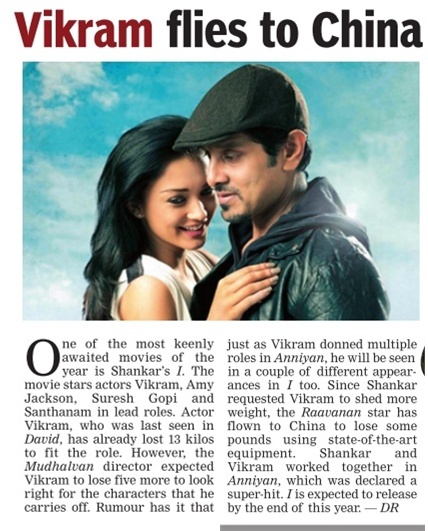 Actor Vikram, who was last seen in David, has already lost 13 kilos to fit the role. However, the Mudhalvan director expected Vikram to lose five more to look right for the characters that he carries off. Rumour has it that just as Vikram donned multiple roles in Anniyan, he will be seen in a couple of different appearances in I too.